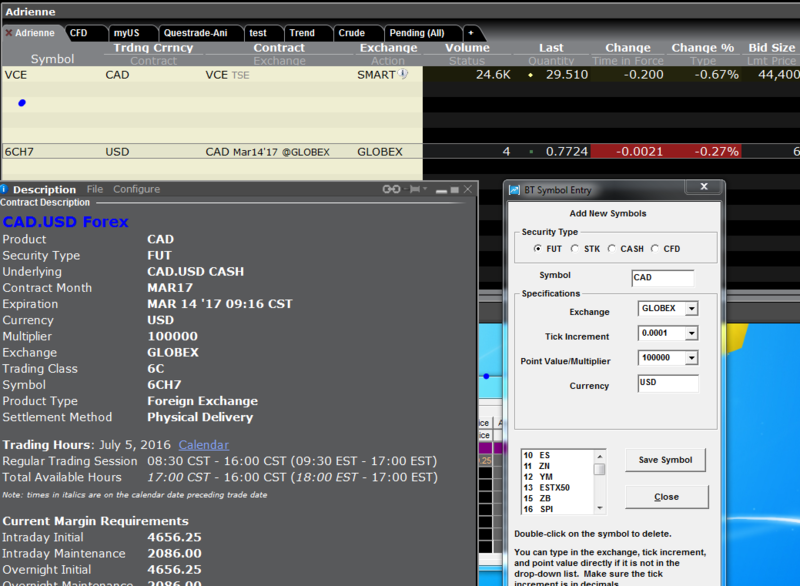 The procedure for adding CAD futures is the same as for adding any other symbols. 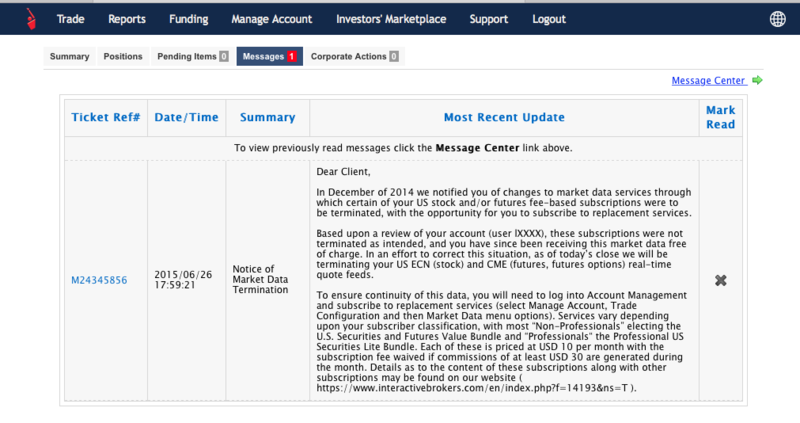 The first thing to do is right click the symbol in TWS , then select “Contract Info”, “Description”. From the table – Product = Symbol, the rest are equivalent. Windows 10 will not “remember” the keys and settings for your BT unless BT is “Run as Admin”. Step 1: Open the Start menu and click All apps. 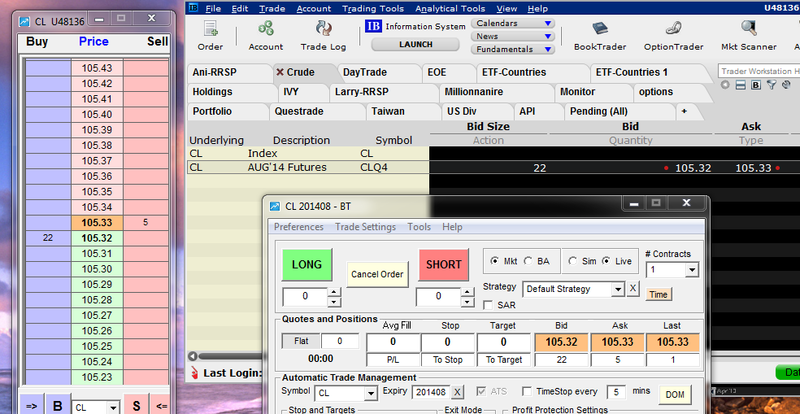 Find “Bracket Trader” and right-click on the shortcut. In the pop-up menu, click Open file location. Step 2: A File Explorer window will open to the location of the program you want to access. Right-click on the program and click Properties from the pop-up menu. Step 4: In the Advanced Properties window, check the box next to Run as administrator and click OK. Step 5: The program will now open in administrator mode when you click the shortcut from the Start menu. Beware – there might be a pop-up every time you run BT asking if you want to allow BT to make changes – just answer “yes”. This will allow any changes you made in the settings to be “remembered”. 1. cancelling an order when it is filled at IB but before BT receives the cancel message. BT won’t know that the order is filled because it will reset once you press cancel. 2. partial fills – there is a possibility that BT may not be able to manage the filled portion if the remainder are filled after some movement as BT waits for a complete fill before switching to trade management mode. It’s a good habit to double check your TWS while trading with BT to detect anything unexpected. BT is updated to use the current API 9.71. No bugs since the last release. You need to update your API to 9.71. As always with IB, the 9.71 is not backwards compatible. The new BT version has been tested with the latest versions of Java and TWS. If you accidentally installed the 9.71 or 9.72 API in your system, you’ll find out that it breaks BT. And you can’t go back to the 9.70 API no matter how many times you uninstall and reinstall the API’s. Here are the steps to COMPLETELY uninstall the current API so you will be able to reinstall the API version which BT uses. 1. uninstall the “TWS API” program from the Control Panel. 4. reinstall the version of API you want. This video shows Bracket Trader installation on a fresh copy of Windows 7 (no other programs installed).